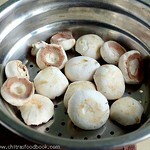 This is a very basic post on “"How to choose, buy and clean mushrooms before cooking “. Though most of you know this, I wanted to share this post for beginners who use mushrooms for the first time .Mushrooms have many health benefits.They are a good source of proteins, minerals, vitamins, amino acids and anti-oxidants. They are low in calories but high in fiber. 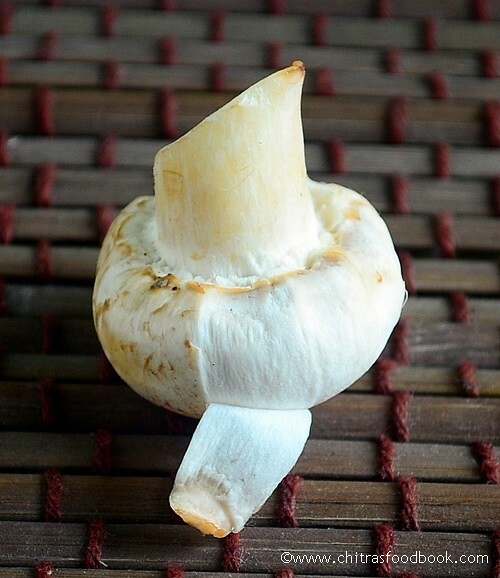 It helps to reduce high cholesterol levels, improves immune system, aids weight loss and relief for diabetes too. But all these benefits are applicable only for edible mushrooms. Some mushrooms are poisonous which may lead to coma and several ill effects. Hence we should be careful while choosing and buying mushrooms. It is always better to buy mushrooms from well known brands and well sealed. It should be fresh and white in color. Read on to see the tips to choose and buy good quality mushrooms and how to clean them before cooking. Hope it would be useful. 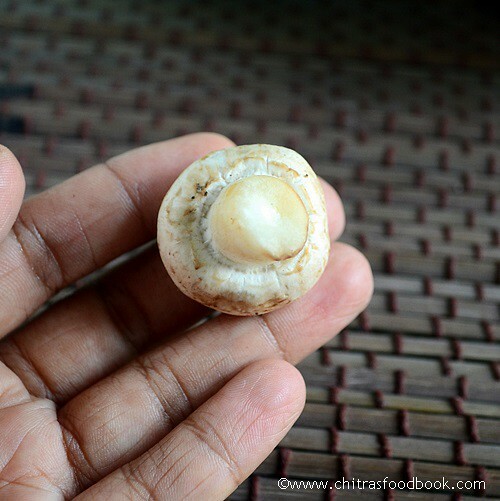 Do check out this link to know about the different varieties of mushrooms. 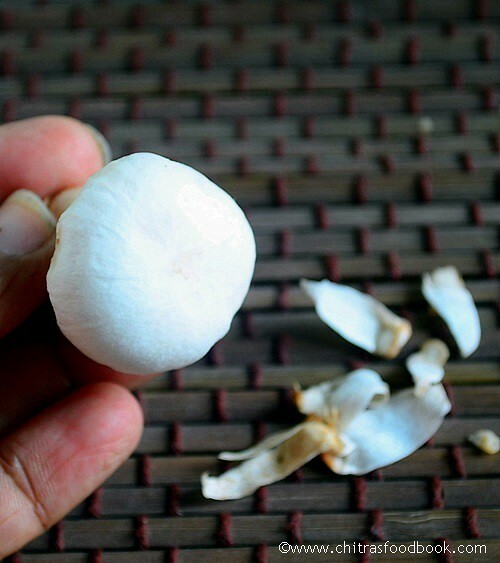 Look for firm, white mushrooms without any discoloration or bruises. 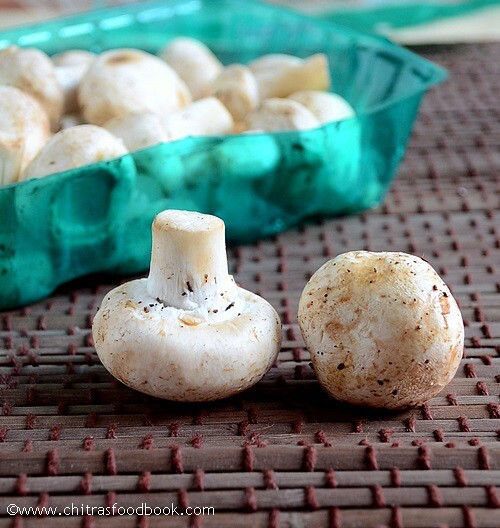 Choose the mushrooms that are free from spots and decay.The whiter the fresher it would be. Button mushrooms have white caps but other mushroom varieties come in varying shades of brown and cream. Choose the ones with with short,clean-cut stems and caps that are either closed around the stems or slightly open ( as shown in the above picture), and with pink or light-tan gills. On the underside of the mushroom, the gills(black part) should be tight.Gills will spread open as mushrooms age.So buy closed ones. 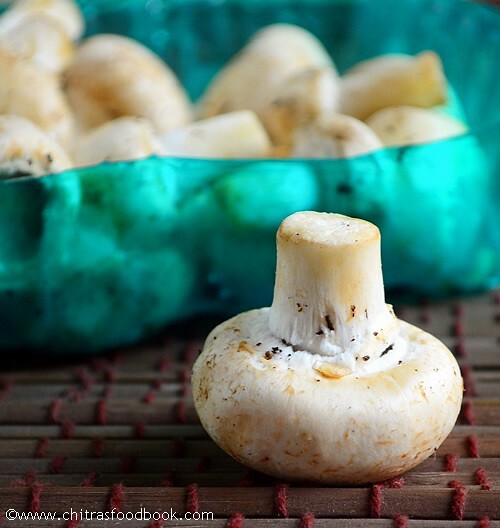 For storage, refrigerate your mushrooms in a paper bag to make them last longer.Keep them covered. Though the cleaning process seems longer, it can be done in minutes. I referred sharmis passions and some more websites for this topic. Then remove the stem part which u can in the middle.When u look into the mushroom,u can c black hair like thing which are called Gills. If u wish, u can remove it using a knife. But this step is optional. Then peel the outer layer completely till u see the white cap.Mushroom will look white and clean. Now wash it under the running water and make sure all the dirt is washed off.Then cut into small pieces and use it as desired. Mushrooms are ready for cooking ! Do check out my MUSHROOM BIRYANI recipe if interested ! 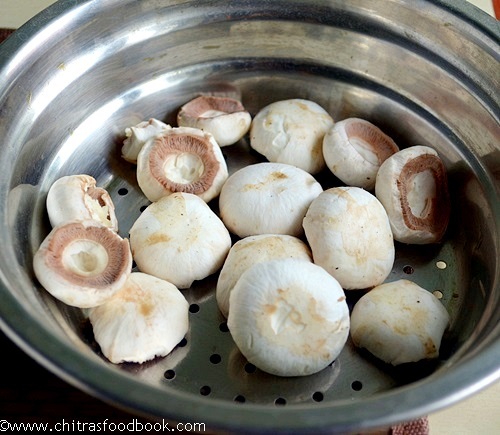 thank u chitra for this post.i didnt try any mushroom recipe till now.because i dont know anything about buying or cleaning about it.now i can try i think. I was looking to find some good cooking tips online. I do not want to know all of the cooking tips, but those that will help me the most when cooking.